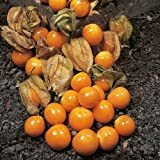 Physalis angulata growing herbaceous‎ of the genus Physalis also known as Gooseberry, Physalis angulata annual plant also used as ornamental plant, grow in tropic, mediterranean or subtropical climate and growing in hardiness zone 10+. Flower color yellow, the flowers grow in clusters. 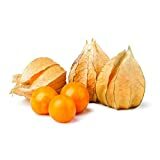 Fruit cover with capsule, small fruit the color orange-yellow, the taste reminiscent of sweet tomato, the fruity is ready to pick when the capsule become brown. 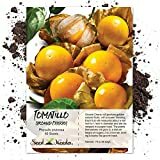 Organic Vegetable Tomatillo seeds Physalis Strawberry Peruvian. 100 SEEDS. 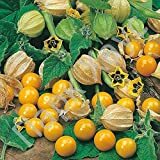 Rare Organic vegetable Tomatillo seeds "Physalis Pineapple" 100 seeds. 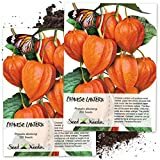 What can be done with big quantities of Physalis angulata fruits?